Kansas City Missouri – Page 80 – Welcome to Wyandotte Daily! 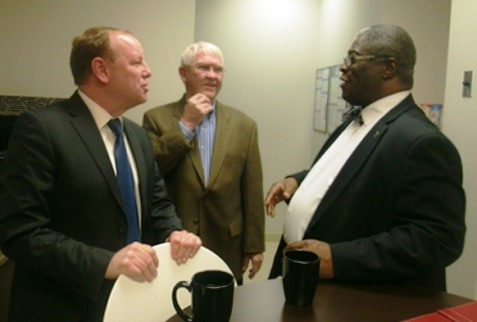 Today there was a ribbon-cutting ceremony held at Mc Anany, Van Cleave and Phillips law firm, 10 E. Cambridge Circle Drive, in Kansas City, Kan.
Dignitaries from both Kansas and Missouri were on hand at the event. This law firm is one of the largest in the Kansas City metropolitan area, handling a lot of legal work for both Kansas City, Kan., and Kansas City, Mo. Recently it went through a major expansion at its offices, which are on the border between Kansas and Missouri. 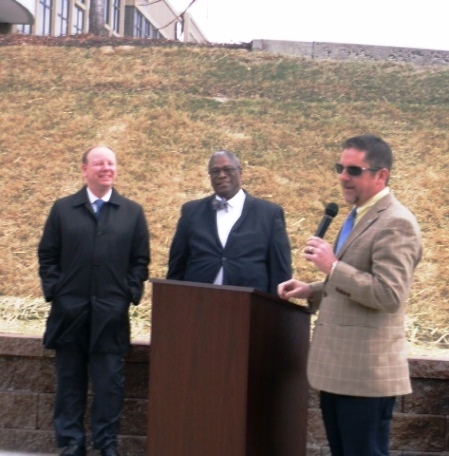 Mayor Mark Holland, CEO of the Unified Government of Wyandotte County, former mayor and CEO of the Unified Government of Wyandotte County Joe Reardon and Kansas City, Mo., Mayor Sly James were on hand to celebrate this occasion. Reardon has rejoined the MVP law firm after his years as mayor. A tax preparer in Kansas City, Kan., was indicted today by a federal grand jury on charges of preparing false tax returns, U.S. Attorney Barry Grissom said. Ahferom Goitom, 34, Kansas City, Kan., is charged with fourteen counts of preparing false tax returns. The indictment alleges that Goitom was a professional tax return preparer who worked in Kansas City, Kan., and was the manager of a franchise business that prepares tax returns. He used commercial tax preparation software at the business to file returns electronically with the Internal Revenue Service. For example, count one of the indictment alleges Goitom filed a return for a taxpayer in calendar year 2009 claiming medical and dental expenses of $5,050; gifts to charity of $8,200; and job expenses and miscellaneous deductions of $5,821. He knew that the taxpayer was entitled to claim medical and dental expenses of only $226, gifts to charity of approximately $2,000 and no job expenses or other miscellaneous deductions, according to the indictment. – Lamar Lynch, 41, Kansas City, Kan., is charged with 13 counts of stealing government funds by filing false and fraudulent federal income tax returns and nine counts of aggravated identity theft. The crimes are alleged to have occurred in 2011 and 2012 in the state of Kansas. If convicted, he faces a maximum penalty of 10 years in federal prison and a fine up to $250,000 on each count of filing a false tax return, and a penalty of not less than two years and a fine up to $250,000 on each count of aggravated identity theft. The Internal Revenue Service – Criminal Investigation Division, U.S. Secret Service and Housing and Urban Development – Office of Inspector General investigated. Assistant U.S. Attorney Tris Hunt is prosecuting. – Randy A. Cornelius, 21, Kansas City, Mo., Allen J. Williams, 23, Kansas City, Mo., and Alvin J. Williams, 23, Kansas City, Mo., have been indicted on bank robbery and federal firearms charges. A federal criminal complaint filed Feb. 28 in U.S. District Court in Kansas City, Kan., charged each of the defendants with one count of bank robbery in the Feb. 27, 2014, robbery of Inter-State Federal Savings at 8620 Metcalf in Overland Park, Kan.
Today’s indictment adds a charge against each defendant of using a firearm during the robbery. In addition, Allen J. Williams is charged with one count of unlawful possession of a firearm after a felony conviction. If convicted, the defendants face a maximum penalty of 25 years in federal prison and a fine up to $250,000 on the bank robbery charge, and a penalty of not less than seven years and a fine up to $250,000 on the charge of using a firearm in the robbery. In addition, the charge of unlawful possession of a firearm after a felony conviction carries a maximum penalty of 10 years and a fine up to $250,000. The Overland Park Police Department, the Kansas City, Mo., Police Department and the FBI investigated. Assistant U.S. Attorney Tris Hunt is prosecuting. – Jose Angel Aquilera-Franco, 20, Bonner Springs, Kan., and Darin Glassburn, 44, are charged in a second superseding indictment with one count of attempted possession with intent to distribute methamphetamine. The crime is alleged to have occurred Dec. 5, 2013, in Kansas City, Kan.
St. Patrick’s Day Parade to start at 11 a.m. The 42md annual St. Patrick’s Day Parade will take place at 11 a.m. Monday, March 17, in Kansas City, Mo. It is an approximately two-hour event in the midtown area. The route is on Broadway from Linwood to 43rd Street. Several roads are closed along the route. Parade dignitaries include Frank White, grand marshal; James B. Nutter Sr., the Mike Murphy honorary Irishman; Pat O’Neill family, the Cullinan Family Spirit Award; and Tim Moses, flag bearer. For more information, visit http://kcirishparade.com/42nd-annual-kansas-city-st-patricks-day-parade. 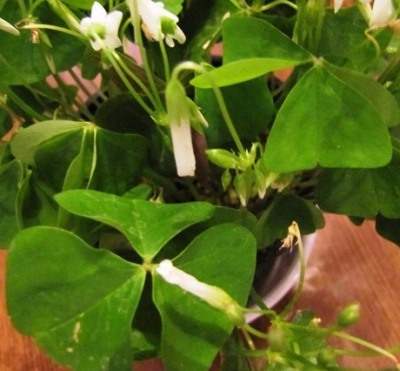 Author Mary RupertPosted on Mar 17, 2014 Mar 17, 2014 Categories Events, Kansas City MissouriLeave a comment on St. Patrick’s Day Parade to start at 11 a.m.